Description: In the area of Chanda Nagar, Agarwal Maternity & General Hospital is a convenient and reliable place to get treatments on maternity related services like childbirth, regular gynaecology consultations. Specializing in maternity and obstetrics, Agarwal hospital has a friendly staff and rooms available for delivery purposes. 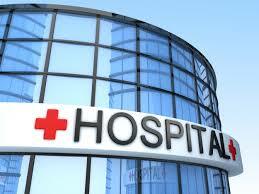 Agarwal maternity and general hospital provides 24 hours emergency services. They are experts in cancer surgery, endoscopy surgeries, gynaecology, orthopaedics, ultrasonography, treadmill test services, maternity, general surgeries, urology, and general medication. Also, they deal in painless delivery services in addition to the infertility treatments. Open for all 7 days a week, this hospital is functional for 24 hours. Some of the specialists are on-call doctors and are available for limited hours, regarding which the information could be received from the hospital staff.